"The future is trying to tell us something." Mimzy the Rabbit is sent back from the future to the 21st century to a littler girl named Emma. But Mimzy is no ordinary rabbit but a high tech device made to look a toy that is capable of saving the world from an ecological disaster that happens in the future. When Emma and her brother realize that Mimzy is no ordinary toy rabbit they agree to keep what Mimzy could do a secret from their parents. When children interact with any of these devices they become almost super human with abilities to teleport, speak with insects, increased intelligence and psychic abilities and because of this Emma becomes emotionally attached to her rabbit friend. Since Emma is so attached to Mimzy she is able to understand how to use the devices that are also made to look like toys. Though her brother also has abilities hers are far greater and so she is the chosen one and he is the engineer who is to build the bridge to the future. When the toys cause a blackout throughout the state of Washington the FBI is alerted of the activity and it is found out that the toys are actually advanced forms of artificial life. Emma states that they were sent because pollution had corrupted Human's DNA and this was the last and only Mimzy sent to save the planet from destruction. Other Mimzy's had failed because their chosen ones did not have an engineer like she had and they were too scared to build the bridge themselves. Mimzy also explains to Emma that they need to send her back with a form of pure DNA from their time so that they can fix their broken DNA in the future. Despite the FBI trying to keep them from doing as they're told, Emma and Noah manage to send Mimzy back and before Emma says goodbye she sheds a tear which will be used as a pure form of 21st Century Human DNA that can be used to save the future. 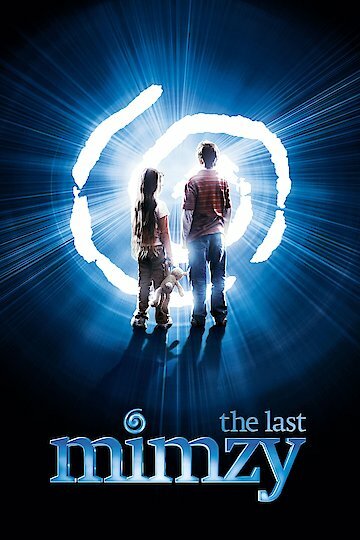 The Last Mimzy is currently available to watch and stream, buy on demand at Amazon, Vudu, Google Play, FandangoNow, iTunes, YouTube VOD online.